Okay… so, we’ve all heard the term “bridezilla,” right? It’s no secret that nobody enjoys dealing with a crazy bride. 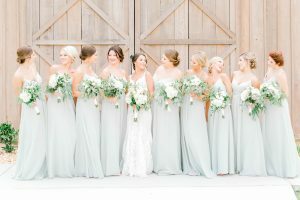 On the other hand, no bride wants to deal with a “maid of dishonor” or a “bridesmaid gone bad.” Along with the title of bridesmaid comes numerous responsibilities to ensure the bride’s special day is everything she has ever dreamt it would be and more. 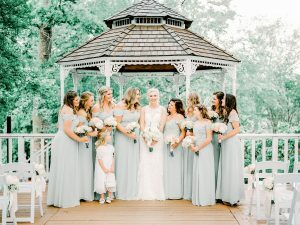 Let’s get down to the “nitty gritty” here and discuss what being chosen as a bridesmaid truly encompasses. First and foremost, let’s just get this out on the table from the start- time and money are both invested in the bridesmaid role. Being a bridesmaid is not just a one-day event. This bride has obviously selected you to be a part of her big day because you hold a special place in her heart, and she trusts that you will have a positive impact during this significant time in her life. There will be a good bit of planning the bridesmaids oversee, such as a shower and a bachelorette party. 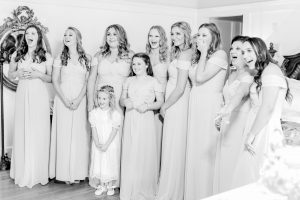 However, there are other instances the bride may call on her bridesmaids to offer their support. She may need you to go shop for decorations with her on the weekend or go with her to pick up her wedding dress after alterations are complete. 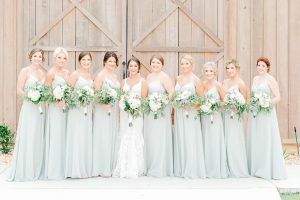 While you may not always be available when she calls, it is very crucial that as a bridesmaid you are present and able to aid the bride throughout the planning period as much as possible. As for the shower and bachelorette festivities, effort truly shows, and the bride will surely be appreciative for your time and contributions put forth.She will want and NEED someone who will be dependable, and you should want her to have that. Involvement is key!!! Another huge piece of advice to remember is that this is the bride’s time to shine- not yours or anyone else’s. 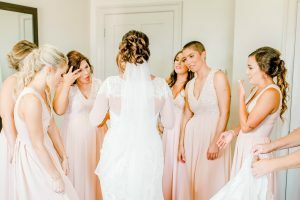 I know you want to look cute for the wedding because that guy you’ve been checking out for a while now will be in attendance, but the main priority is to make sure the bride looks and FEELS beautiful on this memorable day in her life. Don’t be “that girl” who obsesses over her own looks on another girl’s wedding day.Your day will come (if it hasn’t already). I am not saying throw yourself together on the wedding day and disregard what you look like; however, I do suggest making sure you are finished getting ready early enough to assist the bride with whatever she may need. A bride deserves to feel like a princess on her wedding day, and she’s counting on her girls to help make that happen! Get it together, bride tribe! It is certainly not “hush-hush” that girls do not always see eye to eye. As a result, you may not want to do things exactly like the bride does regarding her wedding but guess what… it’s HER big day! Go with it, and DO NOT COMPLAIN! The last thing a bride needs is her bridesmaids pitching a fit about every little detail. She will already have enough stress on her, so do your part and do not add any extra to the mix. We’ve all heard COUNTLESS stories about a bridesmaid who just had an issue with EVERYTHING. This makes for a miserable time not only on the wedding day, but also during the events leading up to the wedding. Have a positive and upbeat attitude, and this will make the entire process much more enjoyable for everyone! In closure, “bridesmaid” is a title that should not be taken lightly. 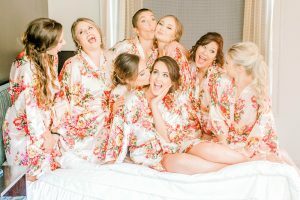 Take a moment to put yourself in the bride’s shoes and consider how involved and enthusiastic you would want your bridesmaids to be when it comes to your wedding and do just the same for her! She will look back on this day the rest of her life, so be sure you uphold this honor and make this a day she will always be glad to reminisce on. Keep in mind… a helpful bridesmaid makes a happy bride! That sounds much better than dealing with “bridezilla,” right? ?